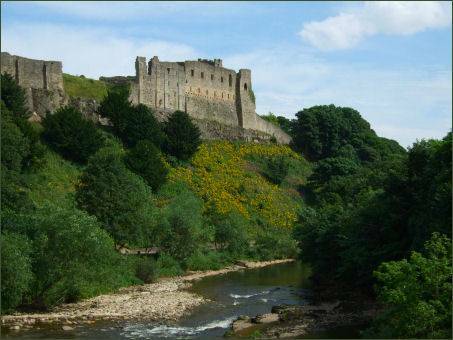 Richmond Castle occupies a commanding defensive position above the River Swale at Richmond. 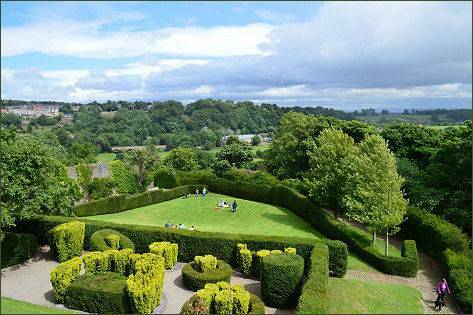 Originally referred to as Riche Mount, meaning 'the strong hill', the castle was founded in 1071 following the Norman Conquest. In 1069, Edgar Atheling, the Anglo-Saxon claimant to England's throne, rose in revolt against the rule of William the Conqueror and attacked York. William put down the rebellion harshly and with haste symbolically wore his crown in the ruins of York on Christmas Day 1069. This uprising was followed by William's "Harrying of the North", which depopulated large areas of Yorkshire. The county was then divided among his most loyal followers. 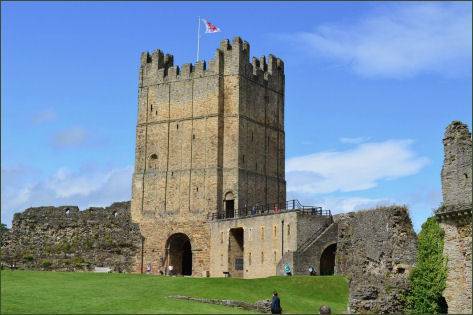 Alan of Brittany was granted Richmond and began the construction of the Richmond Castle to defend against further rebellions in Yorkshire. The site was carefully chosen to make the most of the natural defenses. 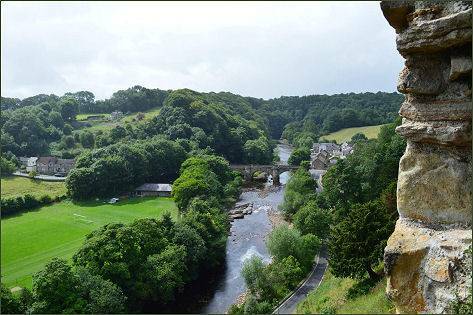 The castle perches dramitically on a rocky promontory around 20 metres above the River Swale. The castle is triangular in shape, and was originally protected by a wall on only two sides; the cliffs themselves deemed adequate protection on the river side. The keep was constructed in the latter part of the twelfth century by Duke Conan IV of Brittany, Earl of Richmond. 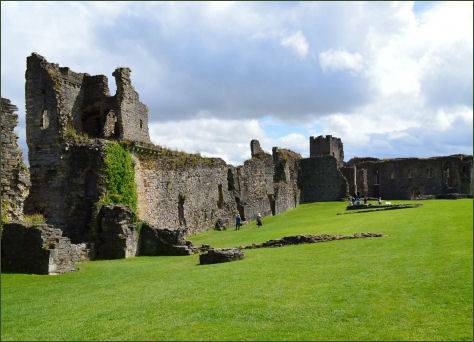 The Earldom of Richmond was confiscated in 1158 by King Henry II, and It was probably he who completed the keep and strengthened the castle by adding towers and a barbican. 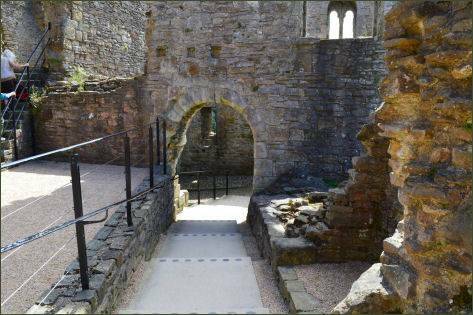 King Edward I made improvements to the keep interior. After Alan Rufus' death, the title Earl of Richmond passed to the dukes of Britanny. William the Lion king of Scots was taken prisoner by Ranulf de Glanville at Alnwick in 1174, when he was unhorsed whilst charging the English, before he could rise from the ground, his own horse rolled on top of him and pinned him down. The Scottish king was imprisoned in Richmond Castle. His successor David II was also a prisoner in the castle after his defeat at Neville's Cross in 1346. The Dukes of Britanny finally lost possession of the title in 1384, and in the fifteenth century Richmond passed to the English nobility, including John, Duke of Bedford, the brother of Henry V, the influential Neville family, Edmund Tudor, half-brother of Henry VI and his son the future Henry VII, prior to his victory over Richard III at Bosworth Field in 1485. Henry VIII granted his father's former title to his illegitimate son, Henry Fitz Roy (1519 - 1536), when he created him Duke of Richmond and Somerset in 1525. During the Civil War King Charles I was lodged at the castle during his journey south in 1647 after he had surrendered to the Scots. The Castle had fallen out of use as a fortress by the end of the fourteenth century and was partly in ruins by the sixteenth. Repairs were carried out to the keep in the early nineteenth century. Richmond Castle became the headquarters of the North Yorkshire Militia in 1855, when a military barracks was constructed in the great courtyard. The barracks were the home of Boy Scouts founder Robert Baden-Powell for two years until 1910 while he commanded the Northern Territorial Army. The barracks building was eventually demolished in 1931. 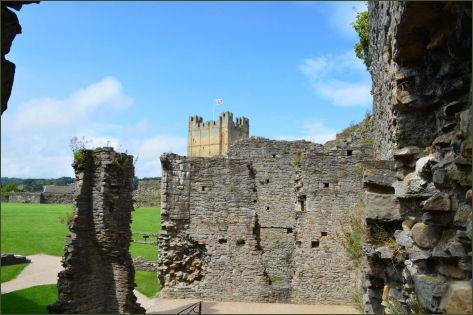 Richmond Castle today contains some of the finest examples of Norman buildings in Britain including the Great Hall known as Scollands Hall after a former constable of the castle. 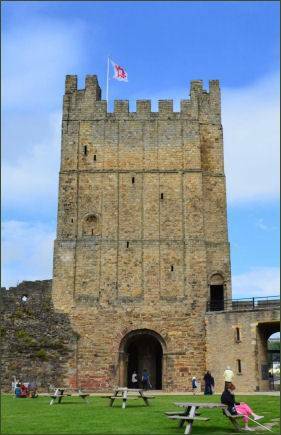 The keep, which towers over 100 feet above the town of Richmond has a restored roof and floors. 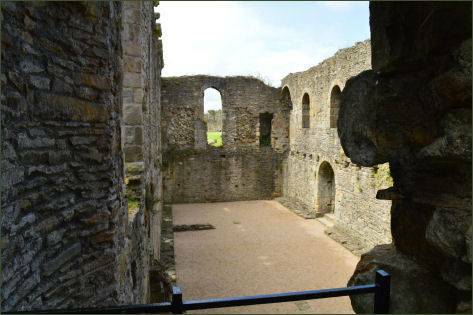 There were once many smaller towers in the curtain wall, and the ruins of three of these can still be seen today. Robin Hood's Tower which is set in the eastern wall, contains the Chapel of St. Nicholas with its barrel vaulted roof and wall arcade of semi-circular arches. There is also an exhibition centre which displays some of the artefacts excavated from the castle grounds. 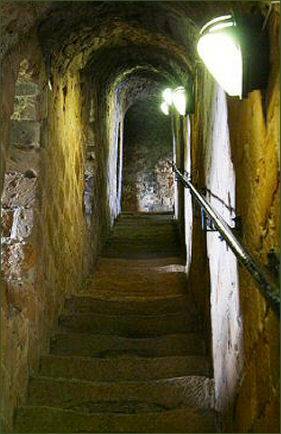 According to a local romantic legend, King Arthur and his knights sleep in a cave beneath the castle. In Richmond just off the market place. Parking -No car park on site. Nearest parking is in the Market Place (2 hours free for Blue Badge holders).